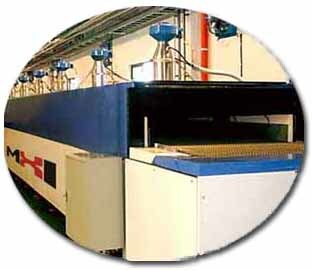 De-e-Ion Zapper machines are employed for surface coatings and for creating special nano materials. A few examples ofantibacterial coating objectives or special coatings made without vacuum at very high speeds are pictorially shown below in rows 2 and 3. New ionic low-cost deposition. Minimize pollution and minimize noise - improve energy efficiency. Nitrides, Yittria Zirconia, Boron Carbide, Silicon Carbide, Molybdenum diSilicide or Oxide. Titanium Nitride (from air through the cascade e-ion). Nitrides, Oxynitrides, Glass and Nano Surface Depositions. Diamond, Tungsten Carbide and other high wear resistant surfaces with the proper texture for tool bits. Tubes and complex shapes. Thick Alumina on Aluminum. Very rapid Molybdenum Oxide on Plastics/polymers for Solar Cells. Iron and Nickel Surface Oxynitrides and Nitrides. Note that almost all nitrides decompose in air to oxynitrides. Why are nano-porous surfaces important? Review recent results for biofilm elimination on metals ...remains eliminated even after 7 years of test in biofilm forming environments. Can Nano Glass Spheres be Deposited? Can Special Oxides be Deposited or Grown? Can Nitrides Oxynitrides and Carbides be Coated or Grown? XPS and EDAX Signals for Nitrogen. that may be employed with the Cascade e-Ion Machines. What are typical large volume part manipulators? The very fast high temperature ramp is very helpful. As per our discussion with the braze alloy manufacturer, one major problem that is often faced is the microstructure coarseness because of many hours at high temperature (common to traditional multi-hour furnace brazing cycles). 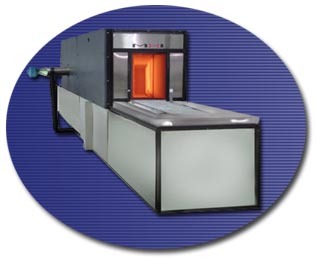 This is the cause for the tungsten carbide particle size to increases during traditional furnace heat-treatment sequences and then the metallurgical bond integrity reduces drastically. Similarly, any boron carbide particles remain extremely small and well-bonded as do nano-alumina after the bonding. Rapid heat up and rapid cool-down is a must for the future. "One minute hardfacing operation replaces 48 hr. operations! We also do not need nitrogen or argon atmosphere"
"What I like about the Cascade e-ion process is the fact that it allows for rapid continuous production instead of batch production. With the Cascade e-Ion, the high integrity of the tungsten (carbide) alloy fusion-bond with the base steel is very acceptable. Tool bit bonding by brazing is efficient. When the bond is of such high integrity and tough (i.e. does not activate or allows cracks to propagate) one is able to quench rapidly subsequent to the the e-Ion CleanElectricFlame™ exposure. "I was impressed to see the clean and high integrity interface between WC-Co and stainless steel... .The technology of the e-ion Plasma seems to be great". Wear resistant surfaces may be made within seconds or minutes with e-Ion Plasma by immersing in Plume which represents an increase of over several fold in productivity with lower capital cost and lower operating costs. Given below are typical hardfacing interface microstructures obtained with tungsten carbide nano and with hardfacing/hardsurfacing alloy on a stainless steel substrate. E-Ion treated micrographs of n-WC (left) and NiCoMo Hardfacing braze alloy to steel(right).